Protecting your valuables, at home and on-the-go since 2006. 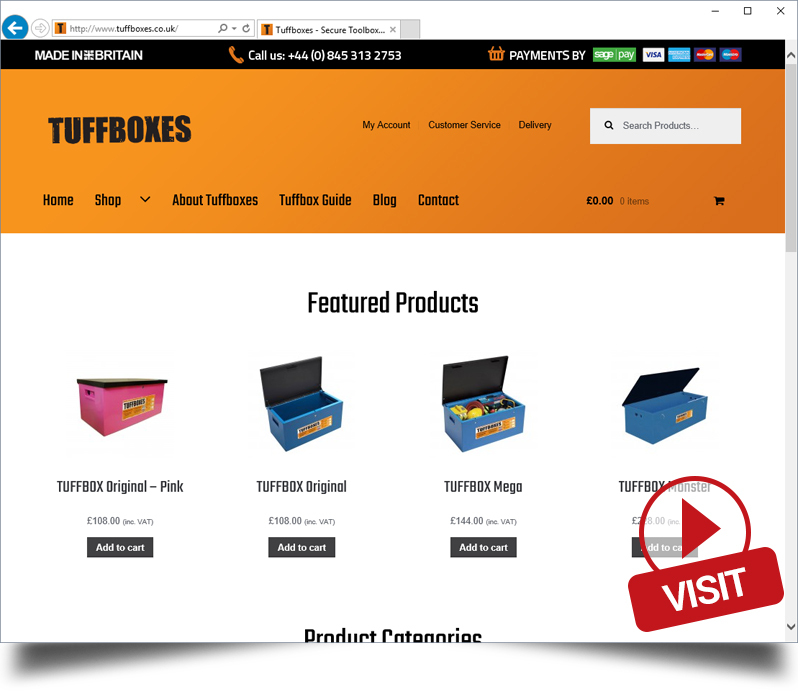 Our brand started with the Tuffbox Original: We wanted an affordable metal toolbox to keep our hand tools and electric tools secure on our shop floor, so decided to design our own! 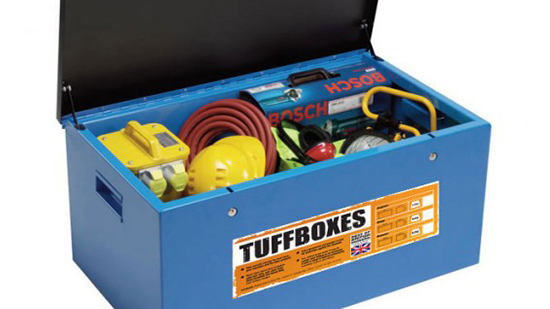 Realising this simple secure box would be useful for other manufacturing companies and sites, Tuffboxes was born. 10 years down the line, it’s grown from a simple secure box for tradesmen to mobile hairdressers using the Limited Edition Pink Tuffbox Micro in their cars to keep their prized equipment safe. 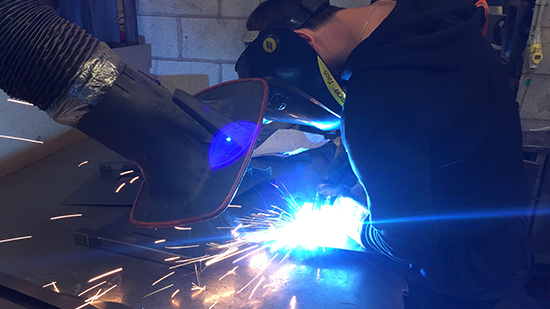 We’re delighted to see time-and-time again construction sites installing Tuffbox Monsters to keep tools and safety gear secure through to the general public installing Tuffboxes in sheds and outhouses to warn off thieves. 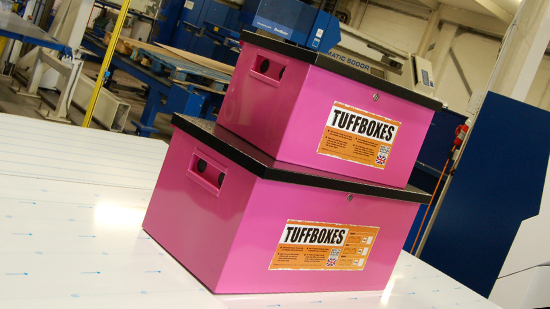 Tuffboxes can now be made in varying sizes and colours through the custom Tuffbox service. 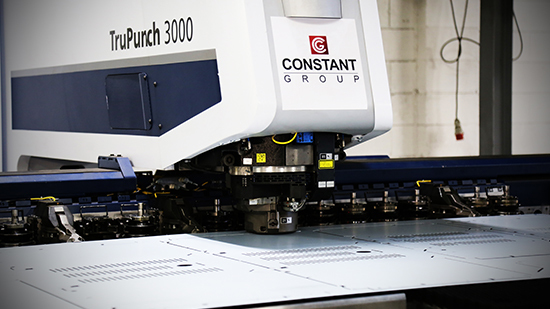 A service well used by existing customers of the Group, allowing for brand representation on the shop-floor or on-the-go when our clients are visiting their customers. 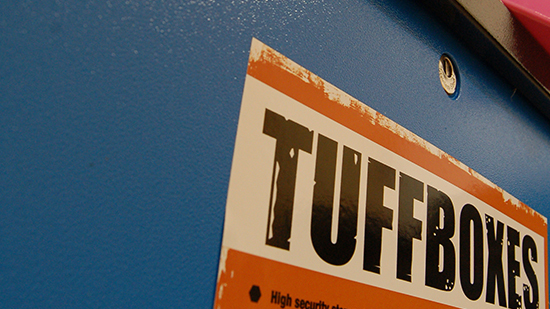 Tuffboxes keep your valuable safe. It’s that simple.